I’ve been trying to find a recipe for the sauce that comes with take-out sweet and sour chicken. Everything I’ve found has had too much vinegar or is too sweet. Here’s my recipe for sweet and sour sauce. You can spice it up by adding some red pepper flakes or cooking a red chili pepper in the sauce. Remove it before adding the corn starch slurry. Make sure you bring the sauce to a full boil before adding the corn starch. This allows all the flavors to combine and cooks some of the vinegar out. If it’s still too strong, consider reducing the vinegar slightly. You can also reduce the sugar if it turns out too sweet for your taste. I find the sauce tastes best after it has set for a few hours. This allows the flavors to really blend together. Start by making a corn starch slurry. Mix the cornstarch and water in a small bowl until it is well combined. Make sure you work out all lumps and clumps. You want a smooth mixture. Get out a medium sized sauce pan and add the pineapple juice, rice vinegar, brown sugar, ketchup, and soy sauce. Bring the mixture to a boil and cook for a minute. Slowly add the corn starch slurry while stirring the sauce mixture. Allow it to boil for a full minute or until it starts to thicken. Remove the pot from the heat and allow it to cool slightly before using. To store it, allow the sauce to cool completely, then pour it into an airtight container (like a jelly jar) and keep it in the fridge for up to two weeks. The sauce can be reheated as needed. Do not allow it to come to a boil. 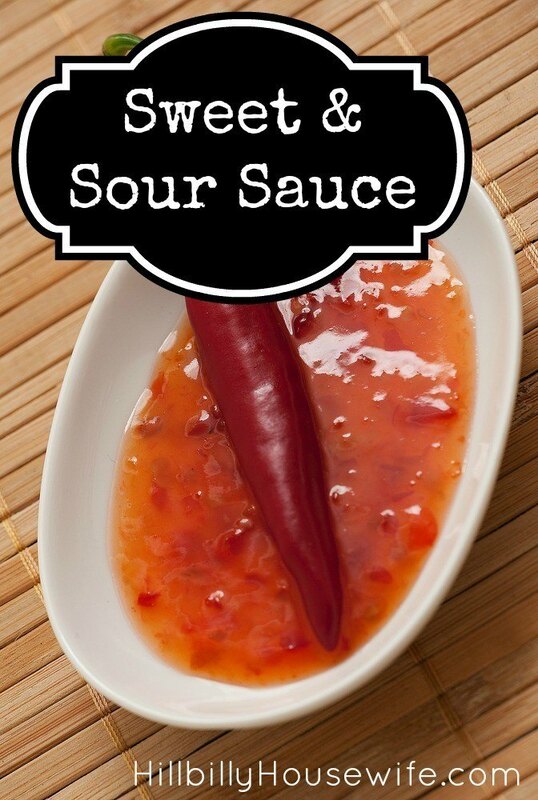 Do you have a recipe for homemade sweet and sour sauce to share? Leave a comment below.